Sikorsky is an American aircraft manufacturer based in Stratford, Connecticut. It was established by Igor Sikorsky in 1925 and was among the first companies to manufacture helicopters for civilian and military use. Previously owned by United Technologies Corporation (UTC), in November 2015 Sikorsky was sold to Lockheed Martin. Sikorsky is a world leader in the design, manufacture and service of military and commercial helicopters; fixed-wing aircraft; spare parts and maintenance, repair and overhaul services for helicopters and fixed-wing aircraft; and civil helicopter operations. 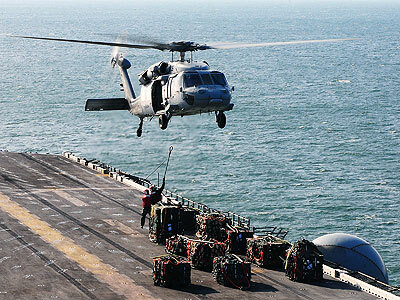 Sikorsky helicopters are used by all five branches of the United States armed forces, along with military services and commercial operators in 40 nations.